Blue elderberry (Sambucus nigra) is a deciduous shrub that forms thickets with many branches and can have multiple trunks. It grows up to 25 feet tall. 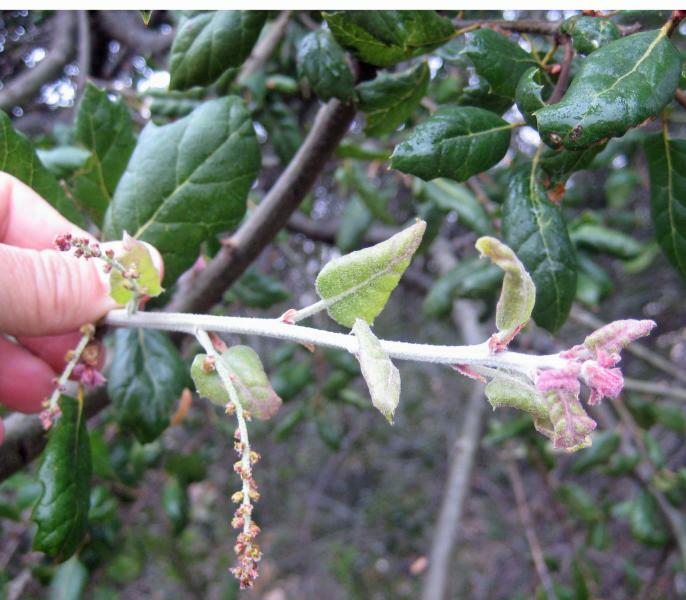 The leaves are divided into 5 to 9 leaflets with toothed edges. 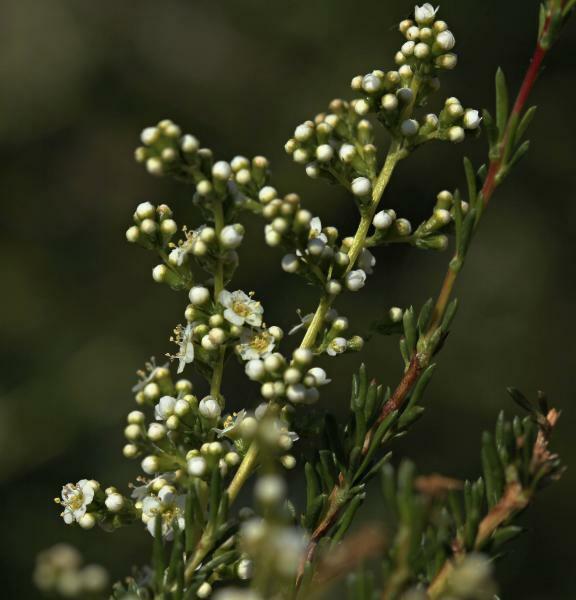 The small yellowish-white flowers are displayed in dense clusters. 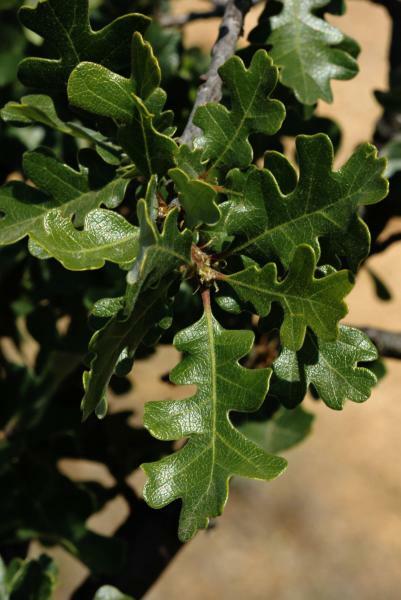 Valley Oak (Quercus lobata) is a deciduous tree that can be over 30 meters tall. The light grey bark has a texture reminiscent of alligator hide. When trees are very old, the branches get droopy. 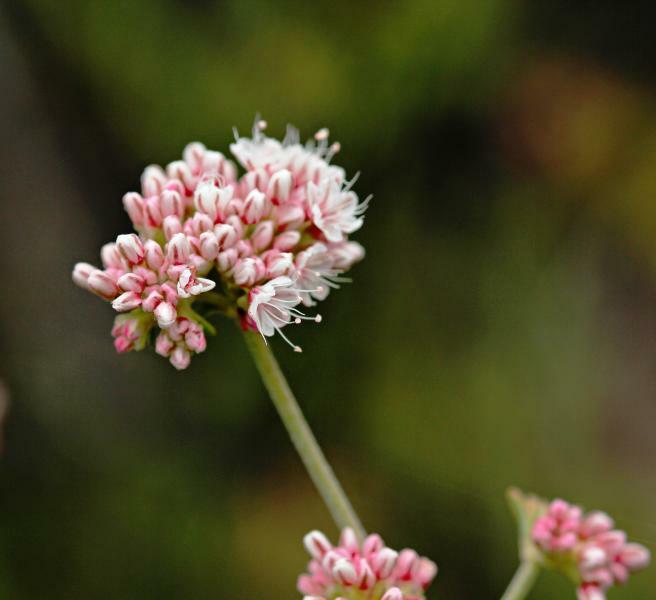 The deeply lobed leaves are rounded and 5 to 12 centimeters long.